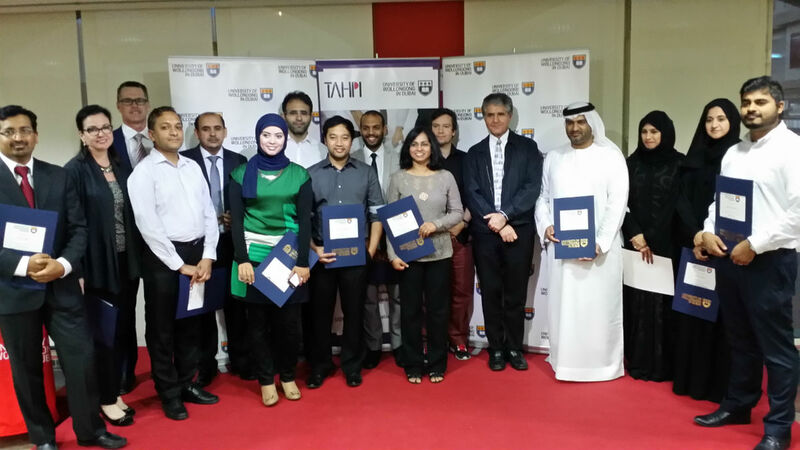 The very first graduating class of the TAHPI-UOWD Health Facility Planning certificate course was in February 2015. Fourteen graduates were awarded the Professional Certificate. This has been a momentous occasion since it is the first time this course is being offered in the UAE, a very significant opportunity for professionals to upgrade their skills and to those looking to specialise within the very competitive career in health facility planning.